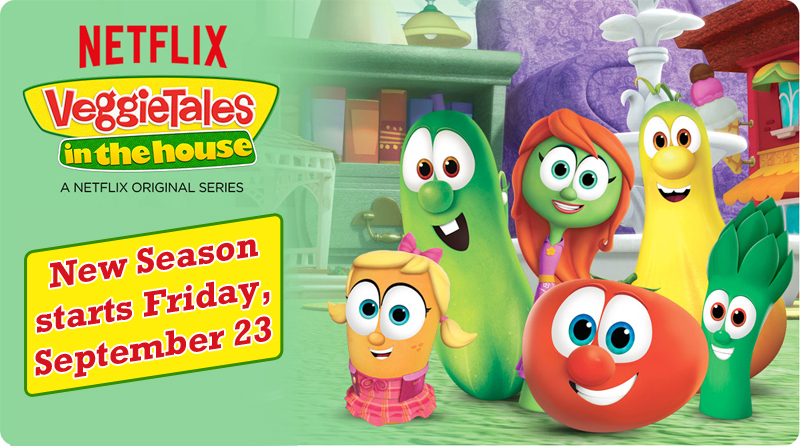 A new 4th season of VEGGIETALES IN THE HOUSE is premiering tomorrow, September 23rd only on Netflix! What will Bob and Larry be up to now in the House of Veggies? Stream tomorrow to find out and enjoy the faith based values and lessons built into each story. Bob, Larry and the Veggie friends will also share a new song each episode to keep the show fresh and fun! In anticipation of such a fun release, Veggietales has posted several short sneak peek clips to get you excited! The Official VeggieTales website also has several fun activities, recipes, and crafts that are free, fresh and fun. Find coloring pages, a Larryboy mask, Lunchnotes and more! Simply click the image below to soar over to VeggieTales in the House and save them all! Be sure to grab the other free printables and recipes shared on my blog by clicking the following images below.